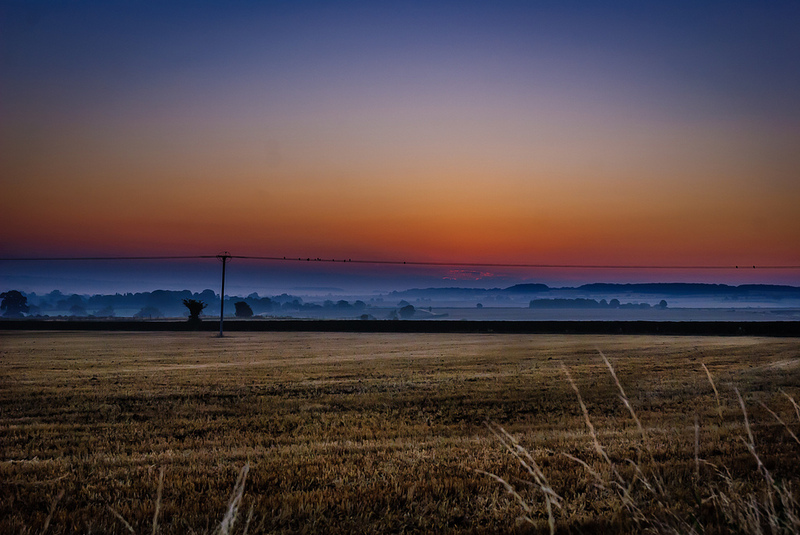 Another early morning shot, just before sunrise on 8th August 2013, on the way to the station at Charlbury – normally I would avoid including the telegraph poles and wires in a shot like this, but I had noticed that there were birds sitting on the wires – almost as if they were watching the sunrise! A slight mist in the distance adds to the drama too. Post processed in Lightroom 4 originally, and some small changes once brought over to LR5. Removed some dust marks and used a graduated filter to enhance the sky along with some lowering of highlights and lifting of the shadows – I improved the exposure a little on the field – the resulting image had sharpening applied and a slight vignette.